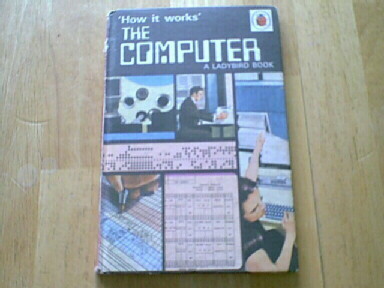 I found your page on the Ladybird "How it Works - The Computer" and would like to ask you, and your readers, what you know about the rumour that a special edition was once produced in plain covers. This is discussed in the Ladybird history web site, and in the Wee Web, but I am most interested in comments from people who heard this rumour ten years or more ago, or who may have actually seen the plain cover edition. Can you tell me when you first heard, read about or saw the special edition? Please point me towards the thing you read, or give me a contact name and address of the person who mentioned it to you. Know anything about this book? Contact us!